"Toward Catalytic Control of Photoinduced Radical Reactions"
"Design and Synthetic Applications of Organic Molecular Catalysts"
"Ion-Paired Chiral Ligands for Asymmetric Transition-metal Catalysis"
"Molecular Design of Organic Ion Pairs for Asymmetric Catalysis"
"Asymmetric Catalysis of Designer Chiral Organic Ion Pairs"
"Catalytic Control of Anionic Intermediates by Chiral Organic Cations"
"Ion-Pairing in Ligand Design for Asymmetric Transition-Metal Catalysis"
"Unique Asymmetric Catalysis of Designer Chiral Organic Ion Pairs"
"Molecular Design and Synthetic Application of Chiral 1,2,3-Triazoliums"
"Ion-Paired Chiral Ligands for Asymmetric Palladium Catalysis"
"Asymmetric Catalysis with Designer Chiral Organic Ion Pairs"
"Asymmetric Catalysis of Chiral 1,2,3-Triazolium Salts"
"Chiral Ammonium Betaines as an Ionic Nucleophilic Catalyst"
"Ion-Paired Chiral Ligands for Asymmetric Palladium Cataiysis"
"Development of Chiral Arylaminophosphonium Barfates as a Charged Brønsted Acid Catalyst"
"Ion-Paired Modular Chiral Ligands for Asymmetric Palladium Catalysis"
"Molecular Design and Synthetic Applications of Chiral 1,2,3-Triazolium Salts"
"Design and Applications of Chiral Quaternary Onium Salts Featuring Anion -Recognition Ability"
"Molecular Design of Chiral Tetraaminophosphonium Salts and Their Unique Asymmetric Catalyses"
"Molecular Design and Synthetic Applications of Chiral Quaternary Oniums Featuring Anion-Recognition Ability"
"Design and Synthetic Application of Chiral 1,2,3-Triazoliums as Cationic Organic Catalysts with Anion-Recognition Ability"
"Chiral Ammonium Betaines as a Unique Organic Molecular Catalyst." "Unique Asymmetric Catalysis of Supramolecularly Assembled Chiral Tetraaminophosphonium Phenoxides"
"Design of Chiral Tetraaminophosphonium Salts as an Organic Molecular Catalyst for Selective Chemical Synthesis"
"Design of Chiral Tetraaminophosphonium Salts and Their Unique Asymmetric Catalyses"
"Molecular Design and Synthetic Applications of Chiral Tetraaminophosphonium Salts"
"Toward Asymmetric Synthesis of Oligopeptides Site-Specifically Incorporating Chiral α,α-Dialkyl-α-Amino Acid Residues"
"Molecular Design and Synthetic Utilities of Chiral Organic Ion Pair Catalysts"
"Chiral Ammonium Betaines: Design and Application as an Enantioselective Orgainc Base Catalyst"
Chem. Asian J. 2010, 5, in press. Angew. Chem. Int. Ed. 2008, 47, 5203-5206. Org. Lett. 2007, 9, 3945-3948. J. Am. Chem. Soc. 2007, 129, 2410-2411. Tetrahedron Lett. 2007, 48, 1337-1340. Angew. Chem., Int. Ed. 2006, 45, 7606-7608. Asymmetric synthesis of α-acyl-γ-butyrolactones possessing all-carbon quaternary stereocenters by phase-transfer-catalyzed alkylation. Adv. Synth. Catal. 2006, 348, 1539-1542. Angew. Chem., Int. Ed. 2006, 45, 3839-3842. Tetrahedron: Asym. 2006, 17, 603-606. J. Am. Chem. Soc. 2006, 128, 2548-2549. Org. Lett. 2005, 7, 5143-5146. Org. Lett. 2005, 7, 3195-3197. J. Am. Chem. Soc. 2005, 127, 5073-5083. Angew. Chem., Int. Ed. 2005, 44, 625-628. Org. Lett. 2005, 7, 191-193. Tetrahedron Lett. 2004, 45, 9315-9317. Org. Biomol. Chem. 2004, 2, 3312-3319. Adv. Synth. Catal. 2004, 346, 1073-1076. J. Am. Chem. Soc. 2004, 126, 11790-11791. Chem. Lett. 2004, 33, 824-825. J. Am. Chem. Soc. 2004, 126, 9685-9694. Org. Lett. 2004, 6, 2397-2399. Tetrahedron Lett. 2004, 45, 4481-4484. J. Am. Chem. Soc. 2004, 126, 6844-6845. Proc. Natl. Acad. Sci. USA 2004, 101, 5824-5829. Tetrahedron Lett. 2004, 45, 1675-1678. J. Am. Chem. Soc. 2004, 126, 1150-1160. Angew. Chem., Int. Ed. 2003, 42, 5868-5870. Angew. Chem., Int.l Ed. 2003, 42, 3796-3798. J. Am. Chem. Soc. 2003, 125, 10494-10495. Org. Proc. Res. Dev. 2003, 7, 644-648. J. Am. Chem. Soc. 2003, 125, 9022-9023. J. Org. Chem. 2003, 68, 4576-4578. J. Am. Chem. Soc. 2003, 125, 5139-5151. Tetrahedron Lett. 2003, 44, 3191-3193. Angew. Chem., Int. Ed. 2003, 42, 579-582. J. Am. Chem. Soc. 2003, 125, 3220-3221. J. Am. Chem. Soc. 2003, 125, 2054-2055. Angew. Chem., Int. Ed. 2002, 41, 4542-4544. Adv. Synth. Catal. 2002, 344, 288-291. Org. Lett. 2002, 4, 2669-2672. J. Am. Chem. Soc. 2002, 124, 7640-7641. Angew. Chem., Int. Ed. 2002, 41, 1551-1554. Tetrahedron Lett. 2001, 42, 9245-9248. Angew. Chem., Int. Ed. 2001, 40,3610-3612. Org. Lett. 2001, 3, 1273-1276. Adv. Synt. Catal. 2001, 343, 166-168. Tetrahedron Lett. 2000, 41, 8339-8342. Org. Lett. 2000, 2, 2015-2017. J. Am. Chem. Soc. 2000, 122, 5228-5229. Angew. Chem., Int. Ed. 2000, 39,　414-416. Tetrahedron Lett. 1999, 40,　9041-9044. Tetrahedron Lett. 1999, 40,　7695-7698. Tetrahedron Lett. 1999, 40,　5881-5884. J. Am. Chem. Soc. 1999, 121,　6519-6520. Tetrahedron Lett. 1999, 40, 2993-2996. J. Am. Chem. Soc. 1999, 121, 3328-3333. Tetrahedron Lett. 1999, 40, 2137-2138. Tetrahedron Lett. 1999, 40, 2133-2136. Angew. Chem., Int. Ed. 1998, 37, 3039-3041. Tetrahedron Lett. 1998, 39, 8105-8108. Angew. Chem., Int. Ed. 1998, 37, 2347-2349. J. Am. Chem. Soc. 1998, 120, 10790-10791. Tetrahedron Lett. 1998, 39, 7105-7108. Tetrahedron Lett. 1998, 39, 3745-3748. J. Am. Chem. Soc. 1998, 120, 5327-5328. Angew. Chem., Int. Ed. 1998, 37, 835-837. Tetrahedron Lett. 1997, 38, 7403-7406. Tetrahedron Lett. 1997, 38, 5679-5682. Angew. Chem., Int. Ed. Engl. 1997, 36, 1183-1185. Angew. Chem., Int. Ed. Engl. 1997, 36, 1181-1183. Tetrahedron Lett. 1997, 38, 3951-3954. Tetrahedron Lett. 1997, 38, 3947-3950. J. Am. Chem. Soc. 1997, 119, 5754-5755. Bull. Chem. Soc. Jpn. 1997, 70, 707-711. J. Am. Chem. Soc. 1996, 118, 11307-11308. J. Am. Chem. Soc. 1994, 116, 6153-8. J. Am. Chem. Soc. 1990, 112, 9011-12. Tetrahedron Lett. 1989, 30, 5607-10. J. Am. Chem. Soc. 1989, 111, 6431-2. J. Synth. Org. Chem. Jpn. 2015, 73, 140-150. J. Synth. Org. Chem. Jpn. 2010, 68, 1185-1194. Angew. Chem., Int. Ed 2007, 46, 4222-4266. Acc. Chem. Res 2004, 37, 526-533. Chem. Rev 2003, 103, 3013-3028. Yuki Gosei Kagaku Kyokaishi 2003, 61, 1195-1206. Yuki Gosei Kagaku Kyokaishi 2000, 58, 14-22. Chem. Eur. J. 1999, 5, 829-833. Rev. Heteroatom Chem. 1998, 18, 61-85. Yuki Gosei Kagaku Kyokaishi 1998, 56, 377-385. Yuki Gosei Kagaku Kyokaishi 1996, 54, 200-11. Hisashi Organic Syntheses 1995, 72, 95-103. ACS Catal. 2015, 5, 6980-6988. Ikagaku Oyo Kenkyu Zaidan Kenkyu Hokoku 1998, 16, 228-230. 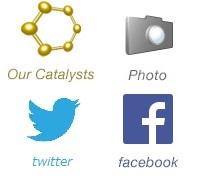 "Recent Topics in Cooperative Catalysis: Comment 2"
"1,4,6,9-Tetraaza-5λ5-phosphaspiro[4.4]non-5-ene, 3,8-bis(1-methylethyl)-2,2,7,7-tetrakis(4-methylphenyl)-, hydrochloride (1:1), (3R,5R,8R)-"
"Chiral quaternary ammonium fluorides for asymmetric synthesis"
"Cinchona-derived chiral phase-transfer catalysts for amino acid synthesis"
"Chiral Carbonyl Lewis Acid Complexes in Asymmetric Syntheses"
"Ammonium Ions as Chiral Templates"
"Aluminum Alkoxides, Phenoxides, Thiolates, Selenolates and Amides"
"Design of Artificial Acid and Base Catalysts for Selective Organic Synthesis"